Oh boy : a storybook of epic NZ men / by Stuart Lipshaw. Hero of the sea : Sir Peter Blake’s mighty ocean quests / David Hill ; illustrated by Phoebe Morris. A good for people who like adventure. I like reading the book it was sad when he got shot in the back two times. They won lots of times. The boat got pulled apart. A book about outstanding people who all come from Samoa. They have all achieved well in their chosen field, whether it be psychology, sport, or politics. This is a great educational resource. I liked reading about some of the people who have done well in science. This nonfiction book is about heroes that are Samoan. It includes neuroscientists, rugby players, and basketball players. Some of the stories were really interesting although others I found a bit hard to read. Children who like nonfiction may like this book. Samoan Heroes is a non fiction book about heroes that are Samoan. Heroes are people who have done really well at something like sport or psychology. I thought this book would be good for school. It is not the usual book I read, though. I rated it 3 stars. Walt Disney Children’s DVDs in the library. Winter has finally arrived in the Capital and in the library. Why not head down to your local library and issue some DVDs, which you can watch in the comfort of your own home, with a warm blanket and a cup of cocoa. 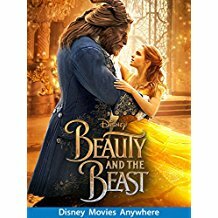 Why not check some new (and old) DVDs produced by Walt Disney and as an added bonus, two special non Walt Disney movie that the entire family will enjoy, as well as entertain and capture hearts of all ages. A tribute to the Polynesian culture and mythology, and full of heroic exploits of the heroes and heroines that Kiwis will be familiar with, namely Maui, the demigod. 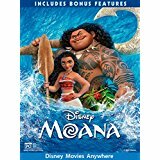 The plot follows the adventure and journey of Moana , a spirited teenager, who like most Disney princesses has a lot on her plate. This involves sailing out on a daring mission to save her island, restore the heart of Te Fiti – the island goddess, fulfill her ancestors’ unfinished quest and save the world. 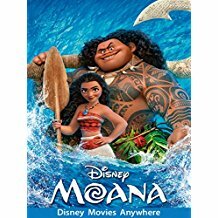 During her journey, Moana meets the once-mighty demi-god Maui, and together, they traverse the open ocean on an action-packed voyage, encountering enormous fiery creatures against impossible odds. Once again, Disney has put together a movie of epic proportions filled with quirky and memorable characters, as well as an amazing cast, including Kiwi actors, Temuera Morrison, Jemaine Clement and Oscar Kightley. Kids, if those names don’t ring a bell, ask your parents and a Disney Princess in the form of Moana who embodies the qualities of an adventurous, headstrong, practically fearless, and physically capable heroine. An 8/10 all the way! The Lion Guard: Life in the Pride Lands. Rough, tough and roarin’ to go, your favorite heroes are back for even more epic adventures! 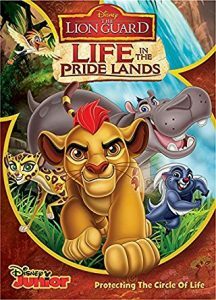 Join Kion and his fearless friends as they defend the Pride Lands and protect the Circle of Life in five action-packed episodes featuring King Simba, the spirit of Mufasa and the hilarious Timon and Pumbaa. The Lion Guard: Unleash the Power. Alone, every hero has his or her own special talent. But when champions work together, the results are “un-Bunga-lievable”! Defend the Pride Lands with Kion and his courageous team in Disney’s breathtaking adventure series based on the legacy of the Lion King. You’ll run like the wind, move mountains and save the day with these five brave friends as they summon their inner powers and help protect the Circle of Life. 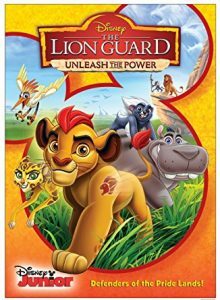 Packed with action, music and over two hours of fun, The Lion Guard: Unleash the power proves that when heroes join forces, they’re truly a force to be reckoned with! Belle (Emma Watson), a bright, beautiful and independent young woman, is taken prisoner by a beast (Dan Stevens) in his castle. Despite her fears, she befriends the castle’s enchanted staff and learns to look beyond the beast’s hideous exterior, recognising the kind heart and soul of the true prince that hides on the inside. This film is beautifully constructed and made! Overall it was an interesting revamp of the original animated 1992 classic. Filled with the same musical numbers and dance sequences, there a few twists, turns and few surprises during the film. Sorry, no spoilers in this review. The ballroom scene where Belle and the beast are dancing is fantastic. Belle’s dress and the dance moves – WOW, could possibly put the previous Disney Princess, Cinderella to shame! All the characters had a part to play, had more depth, personality and beautifully showcased their uniqueness on screen. As always, the story encourages viewers to look beyond the superficial and to be compassionate, curious, humble, and generous. This movie is a must see and has been worth the long wait. A film that the entire family can enjoy for a quiet night in– especially on a Saturday night! 9/10 all the way! Every legend has a beginning. 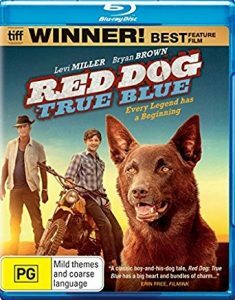 When eleven year old Mick is shipped off to his grandfather’s cattle station in the remote Pilbara region of Western Australia, he prepares himself for a life of dull hardship, but instead finds myth, adventure, and a friendship with a scrappy, one-of-a-kind dog that will change his life forever. This movie is in a word, FANTASTIC! 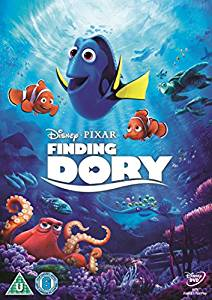 Finding Dory reunites the friendly but forgetful blue tang fish, Dory, along with her friends, Marlin and Nemo on an epic quest to find Dory’s family. The questions that hangs on everyone’s lips are what does she remember? Who are her parents? And where did she learn to speak whale? Favourite moments in the film include Dory as a baby – Boy, she’s adorable!, Marlin and Nemo’s encounter with the seals, Still can’t get the ‘OFFOFFOFFOFF’ aka the seal talk out of my head, Dory making new friends with Hank, an octopus with seven tentacles and who, for a guy with three hearts is very bad tempered, Dory reuniting with her childhood friend, Destiny and the odd cameo of previous characters from Finding Nemo. Even the Pixar short film, Piper that was released alongside Finding Dory is beautiful and heart warming. Two movies for the price of one, you can’t go wrong. Overall, I loved the film! It will make you laugh, it will make you cry and it will make you want to watch it over and over again. It is truly unforgettable. A well deserved 9/10. Some exciting new kids fiction books for you to enjoy!!! Here’s an exciting selection of the newest Kids Fiction books to hit the shelves at your local library! Get your homework done and snuggle up warm with your duvet and one of these! When the storied Staff of Moses responsible for summoning the plagues of ancient Egypt vanishes from the museum in Perilous Falls, Will Wilder is suspect number one. As the river runs with blood, sharp-toothed frogs surround his home, and clouds of swarming gnats choke the streets, Will must rely on his supernatural ability, everything he learned from his training, and help from his friends, siblings, and Great-Aunt Lucille to find the missing staff and unmask the hidden evil before time runs out for all of them. The quest comes to an end as Tom, Quinn, Elanor and Sebastian return to Wolfhaven with their four magical beasts and the gifts they bear. Will they be in time to stop Lord Mortlake’s deadly plot? Rafe Khatchadorian has enough problems at home without throwing his first year of middle school into the mix. Luckily, he’s got an ace plan for the best year ever, if only he can pull it off. With his best friend Leonardo the Silent awarding him points, Rafe tries to break every rule in his school’s oppressive Code of Conduct. Chewing gum in class – 5,000 points! Running in the hallway – 10,000 points! Pulling the fire alarm – 50,000 points! But when Rafe’s game starts to catch up with him, he’ll have to decide if winning is all that matters, or if he’s finally ready to face the rules, bullies, and truths he’s been avoiding. When Big Ben takes off like a rocket after the World Cup, it takes a visit to the moon and the help of Chitty Chitty Bang Bang’s previous owners, the Pott family, to save Chitty and Little Harry. While admiring the view of the city from his friend Edith’s apartment, Stick Cat notices that Hazel, the bagel maker, is in danger across the alley, and he devises a plan to rescue her. Around the Christmas break, I went to see the movie, Moana on the big screen and it is in a word… AMAZING!